Addison’s disease: Hyperpigmentation is a classic symptom of Addison’s disease, an endocrine disorder in which the adrenal glands fails to produce steroid hormone. The disease causes darkening of the skin in certain areas. Cushing’s syndrome: The abnormal amount of cortisol in the human body causes a condition known as the Cushing’s syndrome. And one of the symptoms of the disorder is hyperpigmentation of the skin. 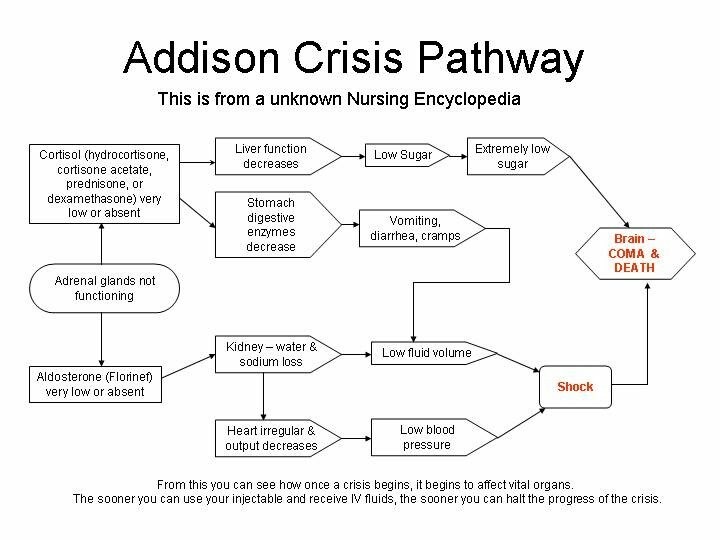 Greater efforts to educate patients with adrenal insufficiency and their families about prevention of adrenal crisis may be necessary, according to data presented at the American Association of Clinical Endocrinologists (AACE) 24th Annual Scientific & Clinical Congress. Additionally, the researchers, who looked at patients treated for adrenal insufficiency, found that many are not being adequately trained or equipped to deal with an adrenal crisis. Malhotra, who presented the study findings at the meeting, explained that patients with adrenal insufficiency are at risk for developing adrenal crisis, and it is now estimated that 8% of patients with adrenal insufficiency are hospitalized for adrenal crisis each year. The problem, according to Malhotra, is that far too many patients are failing to receive crises prevention education. Moreover, they are not receiving emergency glucocorticoid kits. For their study, Malhotra and her colleagues collected data from patients with adrenal insufficiency who were seen at a single institution between March 2009 and March 2014. The investigators conducted a retrospective chart review and examined age, gender, causes of adrenal insufficiency, glucocorticoid dose, and monitoring for hyponatremia and hyperkalemia. They also looked at postural blood pressure, crises prevention education for glucocorticoid dose adjustments during stress, and whether patients had a Medic Alert ID or a parenteral glucocorticoid kit. The researchers identified 85 patients (29 males and 56 females) with adrenal insufficiency. Of these patients, 33 patients had primary adrenal insufficiency (38.8%) and 52 had secondary adrenal insufficiency (61.2%). The mean age of the patients was 55.8 years. Among the 85 patients, 23 (27%) had postural blood pressures checked — five of whom were positive (21.7%). Seventy-seven patients (90.6%) were monitored for electrolytes, and 41 patients (48.2%) were on steroid doses above 20 mg per day. However, the researchers found that only 57 patients (67.1%) had received steroid dose adjustment instructions. In addition, only 29 patients (34.1%) had a Medic Alert ID, and only 17 patients (20%) were setup with emergency parenteral glucocorticoid kits. Even though this study has many inherent limitations, Malhotra said, it appears that the preventive strategies for adrenal crisis in patients with adrenal insufficiency are not being consistently followed. Patient education is paramount for achieving a successful prevention strategy for adrenal crisis, and endocrinologists have a responsibility to make sure that all patients with adrenal insufficiency have a Medic Alert ID and access to emergency glucocorticoid kits, according to Malhotra. Furthermore, she said families should receive adequate education about parenteral steroid administration and steroid dose adjustments in stressful situations. At her institution, Malhotra said, endocrinologists are introducing an automated electronic alert in their electronic medical records to determine if this electronic prompt will improve adherence. Malhotra N et al. Abstract #102. Presented at: American Association of Clinical Endocrinologists (AACE) 24th Annual Scientific & Clinical Congress; May 13-17, 2015; Nashville, Tenn.